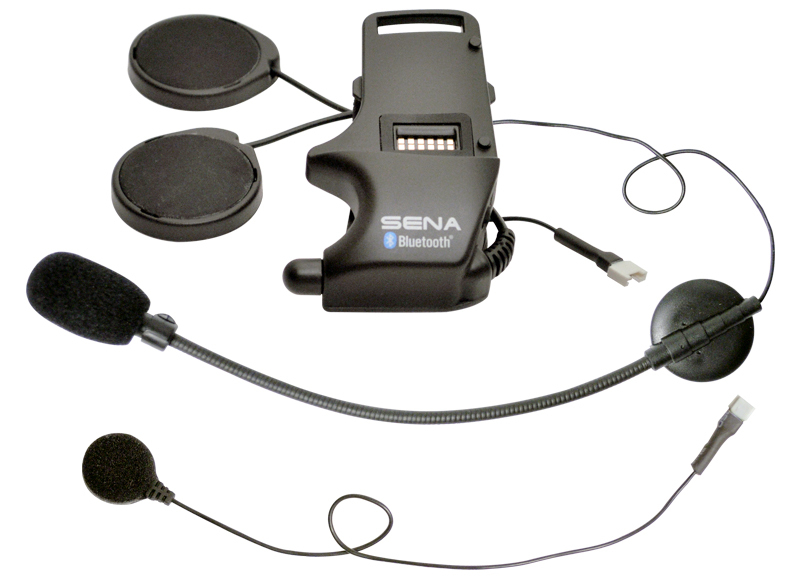 The Sena SMH 10 motorcycle intercom- a revolutionary leap forward in motorcycle communication systems. 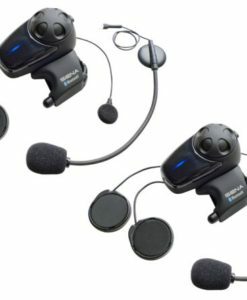 It is not often that we become this excited about a product, particularly as we have researched many headsets from manufacturers around the world. In virtually every instance the evaluation units simply did not live up to their manufacturer’s claims. 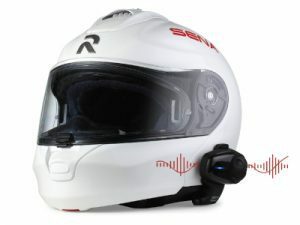 Finally we are pleased to be able to offer the most advanced motorcycle Bluetooth helmet 2- way communicator-the SENA SMH10 headset. 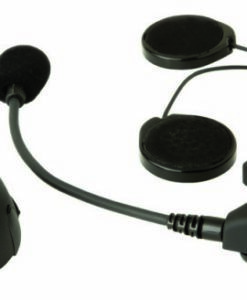 If there is one motorcycle headset accessory you should consider then this is it! 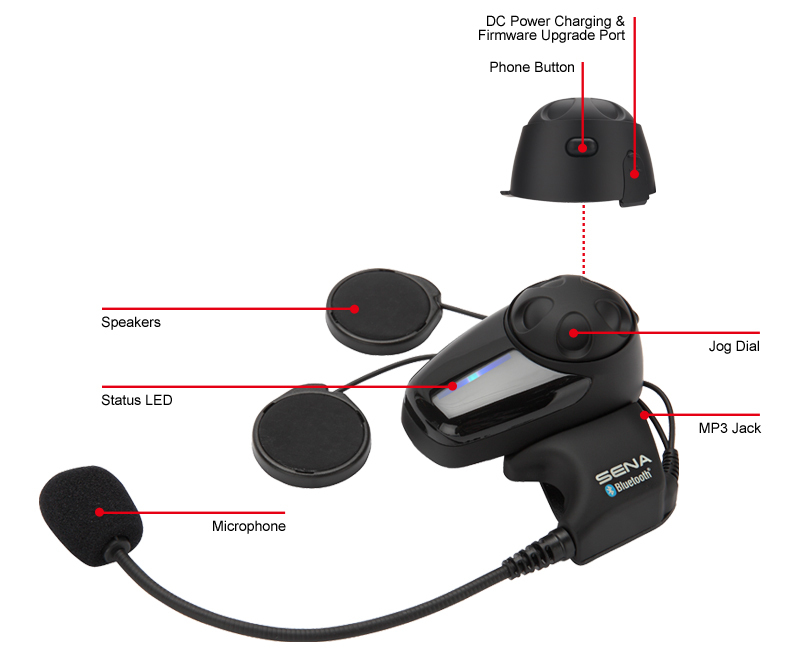 With the worlds most user friendly and simple interface you can call hands-free on your Bluetooth mobile phone, listen to stereo music or voice instructions from your GPS and enjoy intercom conversations in full duplex with a passenger or other motorcycle riders, completely wirelessly! Voted #1 by independent motorcycle journalists and consumers. Bluetooth wireless or wired connection of an Mp3/Ipod for full STEREO A2DP music. 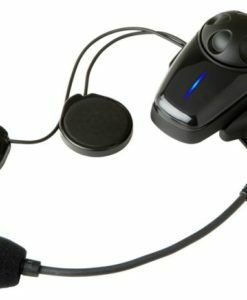 Even if your music player is not Bluetooth enabled the Sena still allows you to attach it directly via a Mp3 port on the base. A gold plated cable to connect your player is included in the kit. 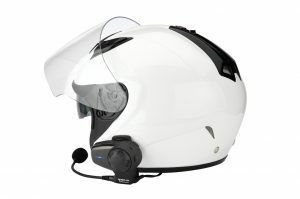 Exceptional volume range with integrated audio booster and high quality helmet speakers. 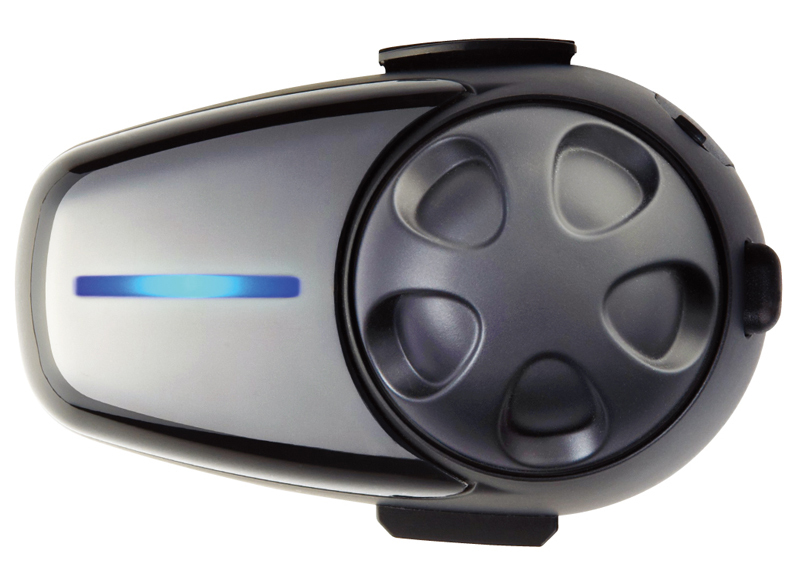 Excellent rechargeable battery life- 12 hours constant talk time, 10 days standby. 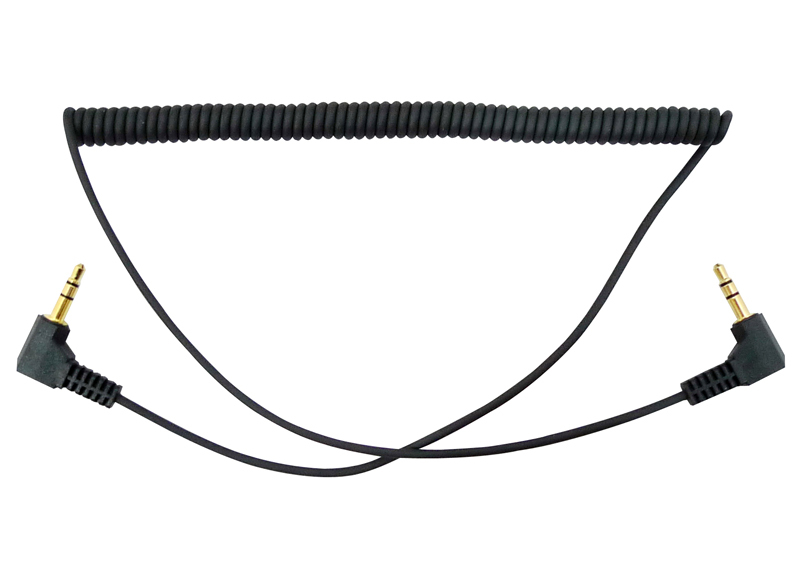 The unit can even be charged while riding your bike with supplied 12V charger. A 220v/110v wall charger is also included in the kit. 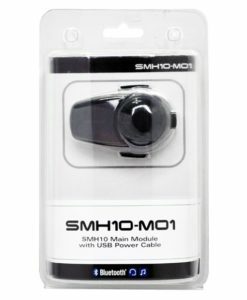 The Sena SMH 10 is fully up-gradable, check for updates regularly. 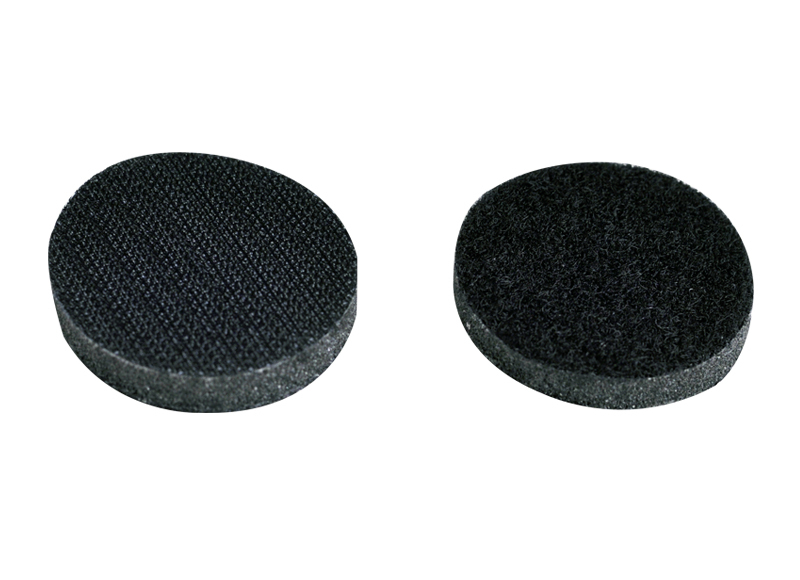 What sets different motorcycle intercom headsets apart is their functionality and ergonomics. 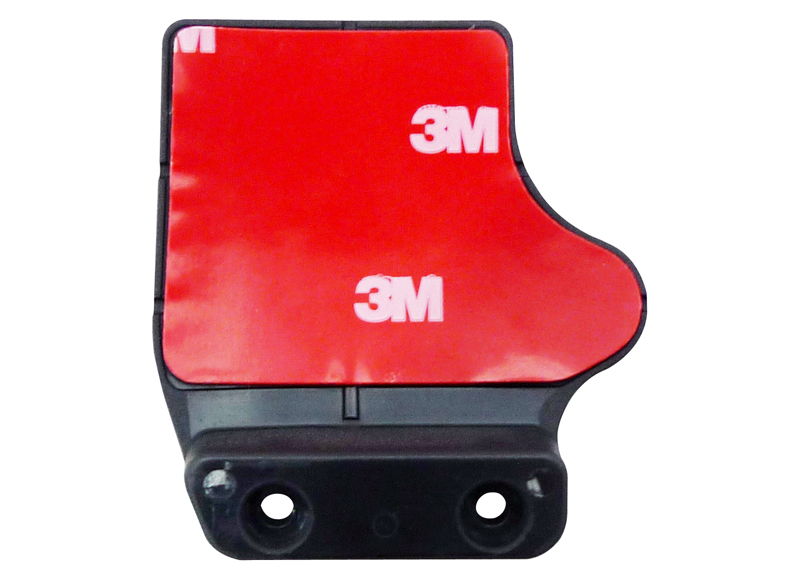 Traditionally other market offerings involve a series of obscure and illogical button-pushing sequences that are challenging at best, leaving the user to ponder if they were ever designed for motorcycle applications in the first place. Having the most bells and whistles is worthless if you are distracted through fiddling for the correct buttons. 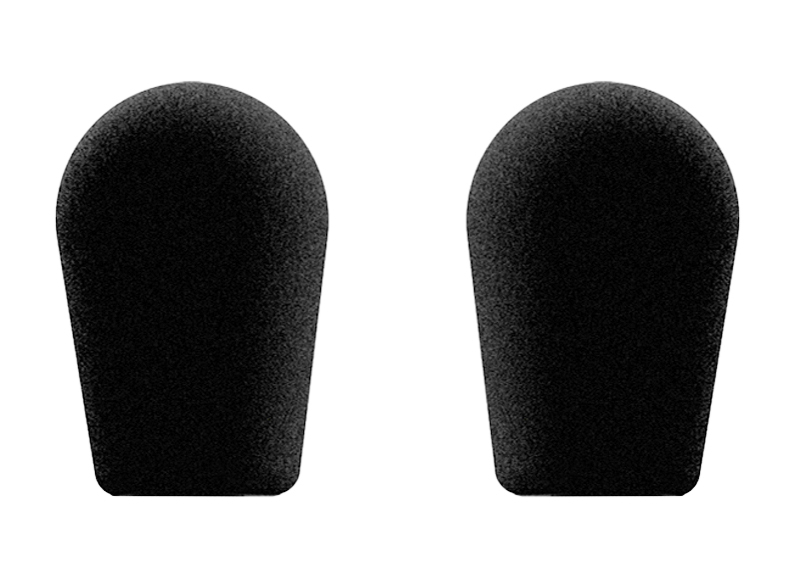 Furthermore a unit should, at very least, be glove friendly. 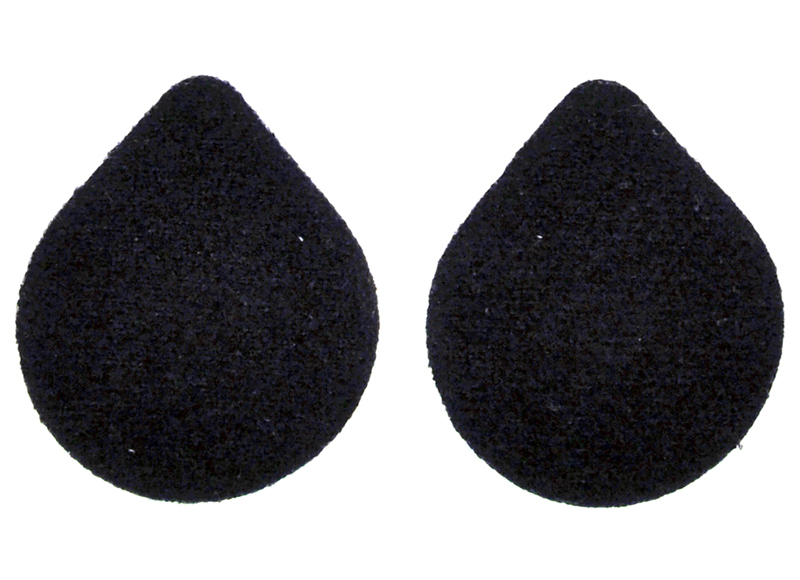 A simple rule of thumb: If you are tempted to remove your gloves or aimlessly fiddle while riding in order to do something with the unit, then that function is useless and potentially unsafe. 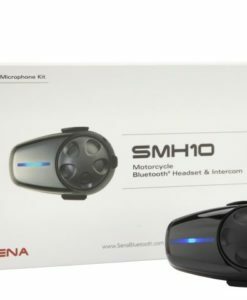 The Sena SMH 10 is by far the simplest intercom system to use and is designed with ease of use and safety in mind. There are two design factors that are immediately noticeable on the Sena SMH10: first, the absence of many buttons. 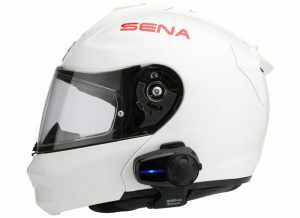 Believe it or not, the engineers at Sena have made a breakthrough in a motorcycle intercom user interface – A total of one button. It’s called the “Phone Button” because it controls pretty much all of the functions of a paired cell phone. The other can’t-miss feature is the “Jog Dial”. The Jog Dial controls the intercom functions. 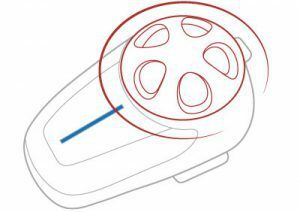 The Jog Dial also rotates to raise and lower the volume. Rotate the wheel one way to raise the volume; rotate it the other way to lower the volume. Simplicity at its best. Many cell phones that are capable of playing music are also AVRCP (Audio and Video Remote Control Profile) enabled. 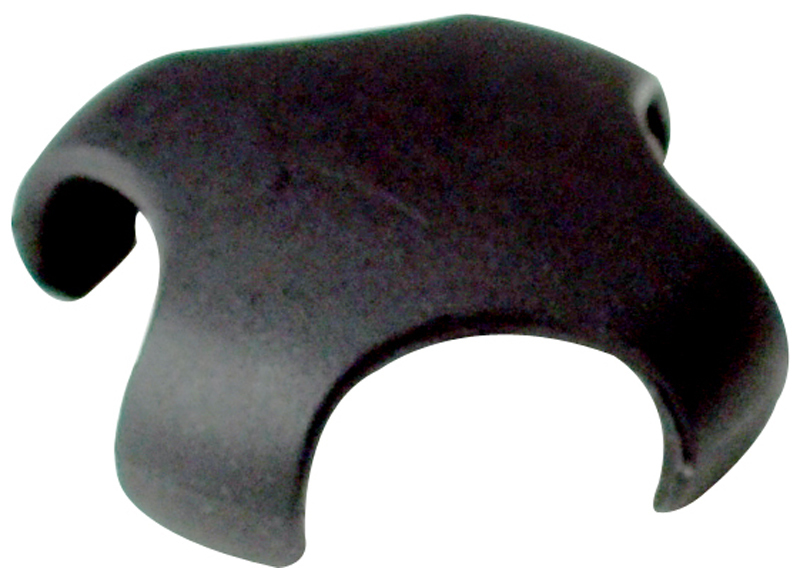 With AVRCP compatible players the unique Jog dial also allows you to control your music. Now you can even pause/play music as well as skip forwards and backwards through your play list via a simple tap of the Jog dial. 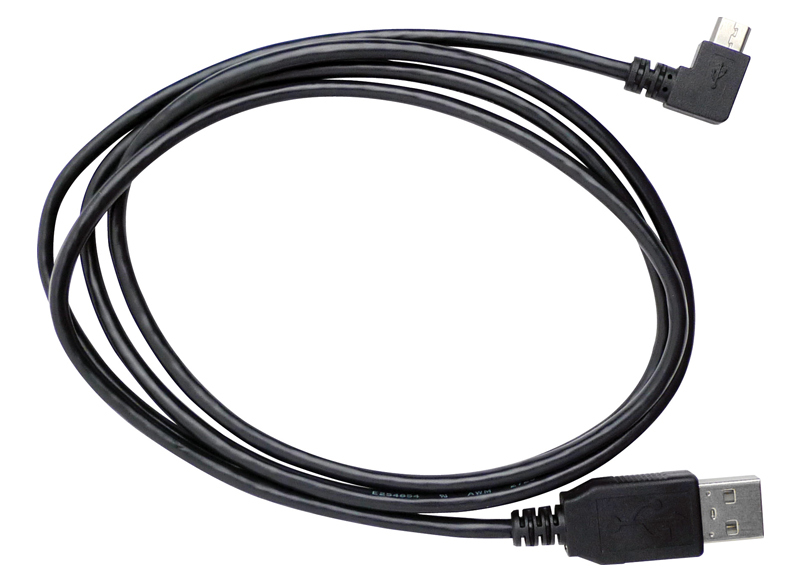 Sena SMH 10 Brain Unit replacement Main Module with USB Power Cable.